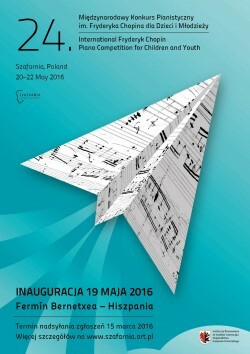 The application period to The 24. International Fryderyk Chopin Piano Competition for Children and Youth has ended on 15 March 2016. The list of participants will be published by April 8, 2016. The Twenty-fourth International Fryderyk Chopin Piano Competition for Children and Youth will take place in Chopin Centre in Szafarnia from 20th to 22th May, 2016. For more information about the competition click the tab Piano Competition.